Space-Efficient, Economical Wastebasket Features An All-Plastic Construction That Won'T Chip, Rust Or Dent. Rolled Rims Add Strength And Are Easy To Clean. 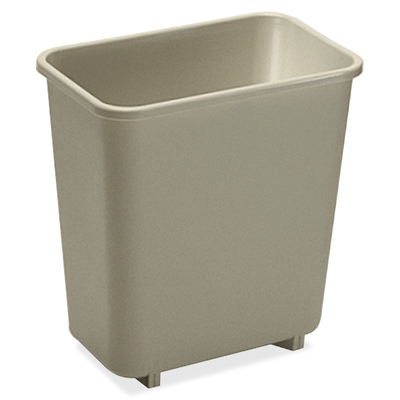 Base Includes Four Stabilizing Feet..
Space-Efficient, Economical Wastebasket Features An All-Plastic Construction That Won'T Chip, Rust Or Dent. Rolled Rims Add Strength And Are Easy To Clean. Base Includes Four Stabilizing Feet.